Ever since the news broke, the wrestling world has been abuzz with excitement. 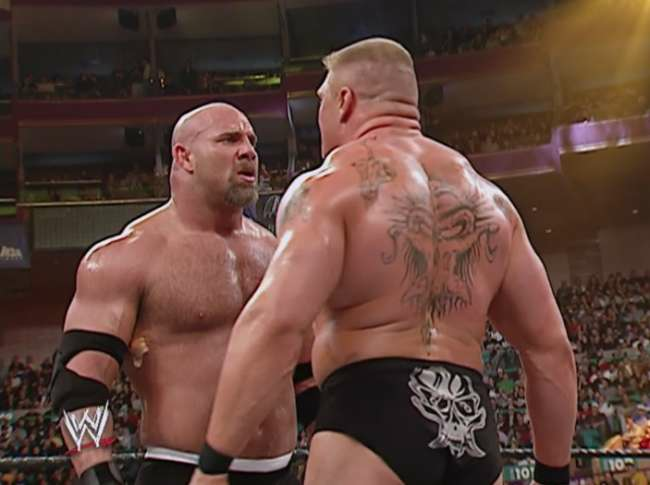 It looks almost certain that The Beast Brock Lesnar will take on The Myth Goldberg, in a clash of the titans at Survivor Series. Brock Lesnar is not a young man anymore. However, when compared to Goldberg, he’s a much, much younger man, who definitely has a few more years of active competition left in him. It makes no sense to WWE to have Goldberg go over in this encounter, especially if it’s a one and done deal. 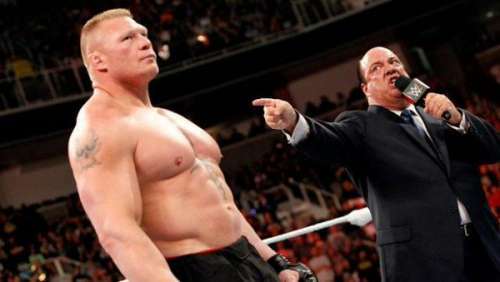 So far, the booking of Lesnar has been that of an unbeatable monster. And his myth will only grow if he were to vanquish the myth of Goldberg. While Lesnar has said on many an occasion, that he has no love for professional wrestling, we’re sure he’ll still be a part of the squared circle for a few more years. In that duration, it would make sense for an up and coming star such as Nakamura or Samoa Joe to end the legend once and for all. This is a decision that would resonate well with the audience, and also give a new star the momentum he needs.